Looking for a Free Credit Check? Getting your free credit check is important, and here are 6 reasons that you should do so. Never pay for a credit report if you don’t have to. There are websites that will tell you for a low price you can get them. Always see if you qualify for one for free before you do so though. Then you can get it and not have to spend any money. However, if you don’t qualify for a free one but do need to review it, you should be able to do so for a reasonable cost. Never assume that what is on your credit report is accurate. Instead, you need to check it out and make sure it is completely error free. By getting one for free annually, you will be able to look it over. It can take time to get those errors fixed so you never want to wait until you are asking for credit to pay for something. When you do want to buy something, you need to know what your chances are of the credit approval occurring. You need to find out what is on your credit check so that you can effectively look into it. You need to know what you may be up against such as needing collateral or a co-signer to get the loan. You may have to be looking into lenders that offer funds for bad credit. The better your credit is, the lower your rate of interest will be when you borrow money. This saves you plenty over the term of that loan. When you consider a home loan may be for up to 30 years and a car loan may be up to 5 years in many instances, you need to do all you can to pay the lowest amount required. It is unbelievable the amount of interest you will be able to save just by clearing up concerns with your credit check. Identity theft is more common than we realize, and your goal should include trying to make sure you do all you can to reduce the risk of it happening to you. 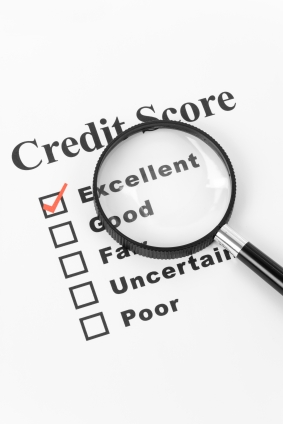 By evaluating your credit report on a regular basis you can take action about it if it does occur. You can also help to reduce the chances of those responsible for such fraud getting away from it. What are your financial goals right now? Do you have plans to retire early? Do you want to refinance your home or even relocate? As you go through your free credit check, you can find out what it says about you. This can help you to see that your budgeting has paid off or that you need to make some changes to that overall game plan for better results. You don’t want your future plans to be derailed due to issues with your credit.